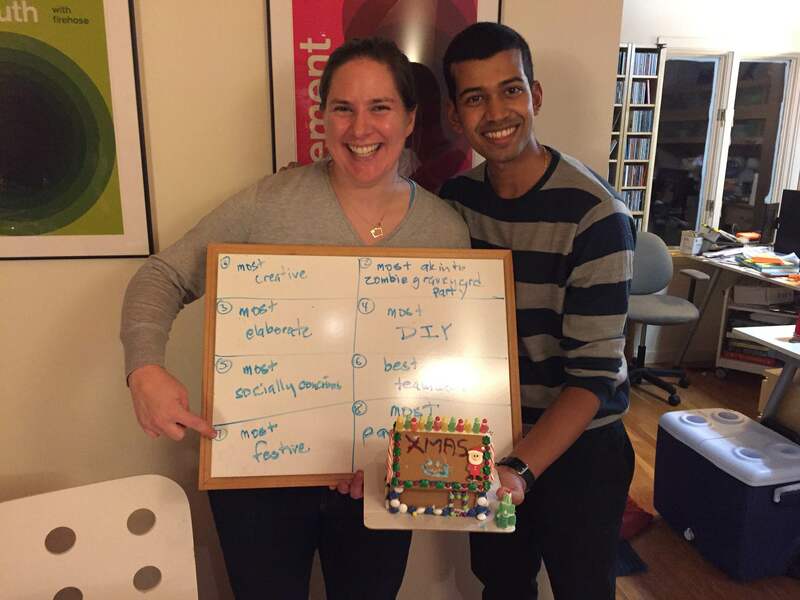 Donnelly Lab members wrapped up the Fall semester in style with a gingerbread house decorating contest! Alongside members of the Kirby Lab, Erik and Pablo won “Most Paradigm Shifting” house for their bold use of graffiti , while Professor Donnelly helped create the “Most Festive” house. Heather was very proud of her tiny house but more excited to trade Erik and Pablo’s prize for her own Christmas lights. This entry was posted in General and tagged fun, sledding, winter. Bookmark the permalink.